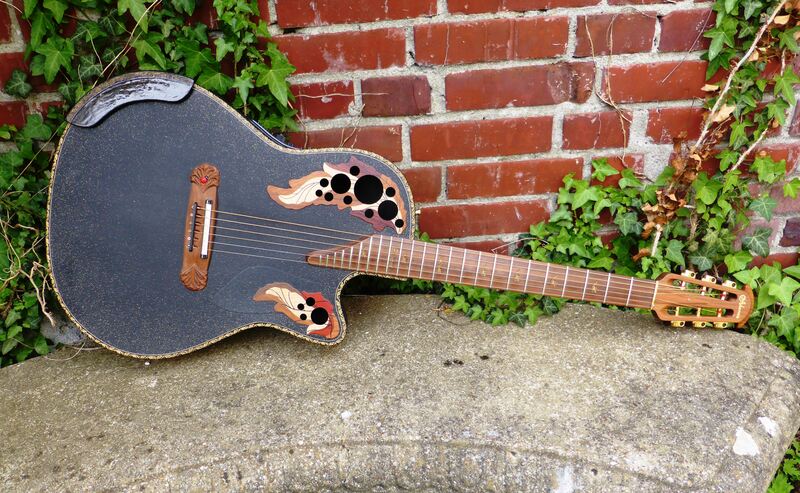 Wow, I really love this look: Open Gear Butterbeans on an Ovation headstock. And these new tuners are perfect! Schaller did a great job on these! Location: Hamburg, Germany Wow, nice custom job, I think I'd rather like the heads of the pegs having a fully rounded profile, but everything else is great, the color matching the headstock, the backside… really nice. 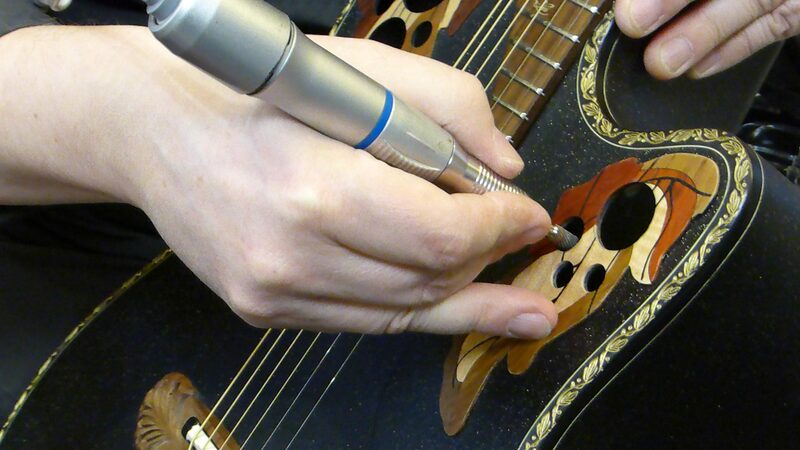 Did you take the classic ovation ornaments off the sound holes? or is this guitar a model I've never seen before? Location: Munich, Germany I ripped the epaulets off. Used to be a stock CVT. Nearly. Location: Hamburg, Germany Nice work, the W597 Adamas was one of the alternative models I watched to the 1581 KK I finally ordered. Looks really nice and surely sounds great too. Did you do some work on the fretboard too? It looks kind of darker now than in the first pictures on the link. Changing the nut to a black one is also a great decision, nice looking Adamas. Location: Tuscany, Italy Nice job Karl. I see that you also change in full-black the nut & the saddle.....like it.....did you ever think to paint black the epaulette instead of peeling them off ? Location: Bristol England Love it without the epis..... Super Cool! Location: Phoenix AZ Those tuners look really really good !!! maremagnum - 2014-04-20 11:39 AM Nice job Karl. I see that you also change in full-black the nut & the saddle.....like it.....did you ever think to paint black the epaulette instead of peeling them off ? Interested to see what this would have looked like with the 1988 Collector's Edition epaulettes, but it looks cool without what came on there. Location: Taxed To Death State Sweet guitar. Nice knobs! Location: Germany, where delicious wine is growing (Rheinh) Great job, Kurt! I think these tuners are one of the bests money can buy right now. I replaced all the Ping-sh*t with Schallers. Ovation should go back to them as well. Location: What week? So tastefully articulated and well stated in every detail. Very, very nice. Location: Birmingham, AL Did you have to get conversion bushings? Location: Munich, Germany Yep! The drill holes from the Schaller M6 were too big. Schaller did not have conversion bushings at that time and custom made them for me - for free! Now you can get them online. Who would have been so brave taking them off..... from an Adamas! I find the sound better with these additional soundholes. Thanks! But to tell the truth, there was this Tupperware/Standingovation/multiplename guy who ordered a black Elite or a black Adamas (don't remember exactly) without Epaulettes some time before I ripped mine off. So the kudos for this "design" belong to Dave! It also looks better - at least to me.